For the Paraguayan football player, see Jorge Luis Campos. For the Cuban table tennis player, see Jorge Campos (table tennis). This name uses Spanish naming customs: the first or paternal family name is Campos and the second or maternal family name is Navarrete. Jorge Campos Navarrete (nicknamed El Brody or Chiqui-Campos or El Chapulín) (born 15 October 1966 in Acapulco) is a retired Mexican footballer, who played as a goalkeeper and striker. A notable player of Mexico in the 1990s, Campos was an eccentric player, known for his constant play outside the penalty area, his acrobatic style of goalkeeping, and his colorful playing attire. His main strengths as a goalkeeper were his leaping ability, athleticism, and speed, which enabled him to overcome his relatively short stature. He was widely regarded as one of the best goalkeepers of his generation. Campos also made for an effective striker, a rare example of versatility in football. At times, he would start a game in goal, and transfer upfield later in the match, mostly at the club level. His trademark, self-designed bright kits contributed to his popularity. Campos started his career in 1988 in Mexico with Pumas. At that time the club's first string goalkeeper was Adolfo Rios, so because Campos desired first-team opportunities, he asked to be used as a striker. He performed notably in his first season, scoring 14 goals and contending for the title of top-goal scorer. In the following seasons he earned the position of first-choice goalkeeper and won the 1990–1991 championship with Pumas. He also won the championship with Cruz Azul in the Primera División de México Invierno 1997 (México First Division Winter 1997), although he was the second string goalkeeper to Oscar Perez. He was regularly used as a substitute striker during this period. As well as Pumas and Cruz Azul, Campos also played for such clubs Atlante, Tigres, and Puebla. He scored a notable bicycle kick goal for Atlante in the 1997 season. In that game, he started as goalkeeper, but as the forwards were failing to score a goal, the coach replaced a field player with another goalkeeper to send Campos to the attack. He also played in the United States, where he starred in Major League Soccer's first three seasons for the Los Angeles Galaxy and Chicago Fire. On the international stage, Campos started as goalkeeper for Mexico in two FIFA World Cup tournaments: 1994 and 1998. He would eventually collect 130 caps. 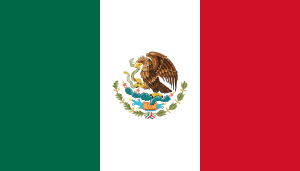 At the 1999 New Year's Cup in Hong Kong, in which Mexico was invited as well as Egypt and Bulgaria, Campos' father was kidnapped in Mexico and Campos returned to Mexico to attend to the matter. Campos was invited several times to play with the Rest of the World Team against clubs like Real Madrid, Barcelona, and Milan. His last game with Mexico was in 2004 in a friendly against Tecos. Campos has appeared in commercials for the American sportswear company Nike. In 1996, wearing a black jersey (in contrast to the colorful jerseys he wore in games), Campos starred in a Nike commercial titled "Good vs Evil" in a gladiatorial game set in a Roman amphitheatre. Appearing alongside football players from around the world, including Ronaldo, Paolo Maldini, Eric Cantona, Luís Figo and Patrick Kluivert, they defend "the beautiful game" against a team of demonic warriors, before it culminates with Cantona striking the ball and destroying evil. Campos has appeared in EA Sports' FIFA video game series, featuring in the Classic XI for 2010 FIFA World Cup South Africa, FIFA 11, FIFA 12, FIFA 15 and FIFA 16. After retiring from both club and international football in the early 2000s (decade), Campos became an assistant coach to Ricardo Lavolpe, the former head coach of the Mexico National Team. He was an assistant director of the National team that played in the 2006 FIFA World Cup. He also owns a fast food franchise, Sportortas-Campos, specializing in tortas. On 31 July 2011, he appeared in the 2011 "Messi and Friends" friendly match in aid of charity where he played for a Rest of World XI. He entertained many of the crowd, pulling off many saves including stopping Messi himself. He is also a commentator for TV Azteca. ↑ Mike Zizzo (15 June 1994). "Baggio Takes Great Strides Toward Soccer Greatness". The Orlando Sentinel. Retrieved 24 September 2015. ↑ "Nike and Maven Networks Introduce JogaTV". Nikego. Nike. 17 April 2006. Retrieved 21 July 2012.